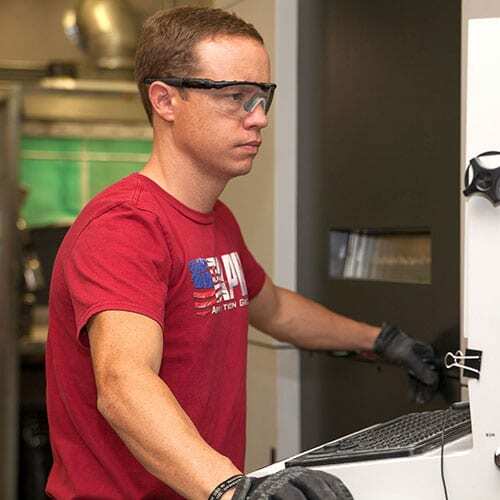 Generally, Stereolithography has a faster print time than Fused Deposition Modeling and Selective Laser Sintering, and it is often the most accurate printing method available due to the precision achievable with a laser. 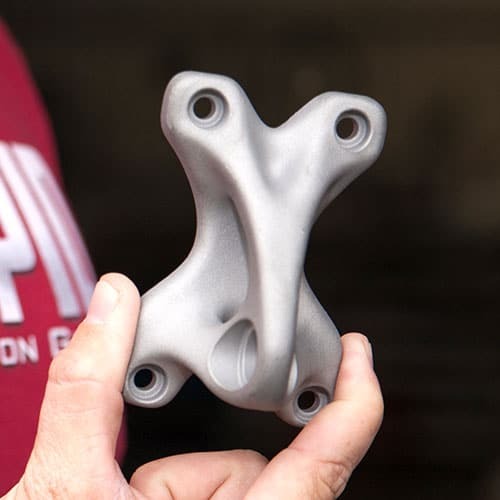 Though Stereolithography requires that users “bake” their products to ensure they are properly cured, no physical modification is required because the end results have a smooth finish, unlike objects printed with Fused Deposition Modeling and Selective Laser Sintering. We are ready to build your next project. Request a quote to get started. 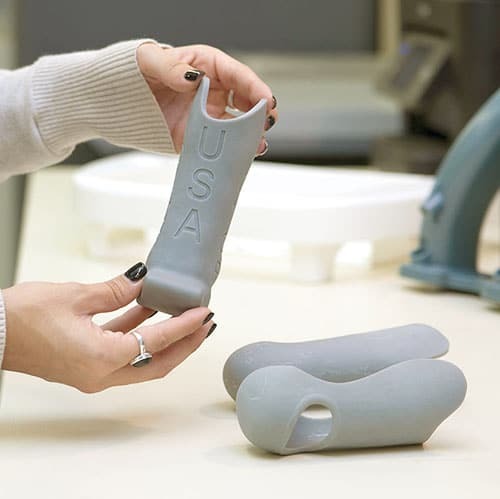 Fused Deposition Modeling (FDM) is a 3D Printing technology requiring a fairly simple setup, using only a heated nozzle, a build platform, and coiled thermoplastic filaments to build an object. A great solution for low-volume Production Parts, Jigs & Fixtures, and Functional Prototypes. Digital Light Printing (DLP) refers to a method of printing that makes use of light and photosensitive polymers. In most forms of DLP, each layer of the desired structure is projected onto a vat of liquid resin that is then solidified layer by layer as the buildplate moves up or down. As the process creates each layer successively, it is quicker than most forms of 3D printing. 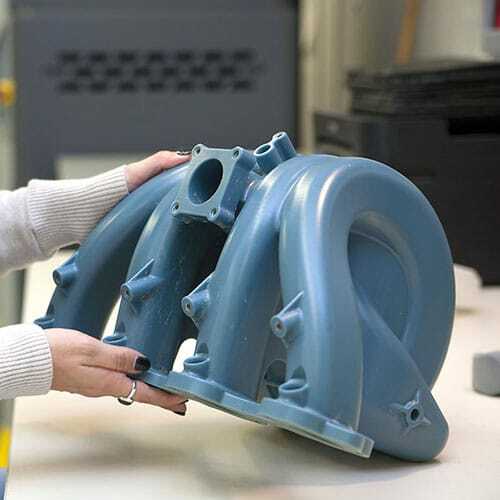 Selective Laser Sintering (SLS) is best used in applications that require durable, low volume prototype or production parts. It is a great solution for geometries that contain internal features. 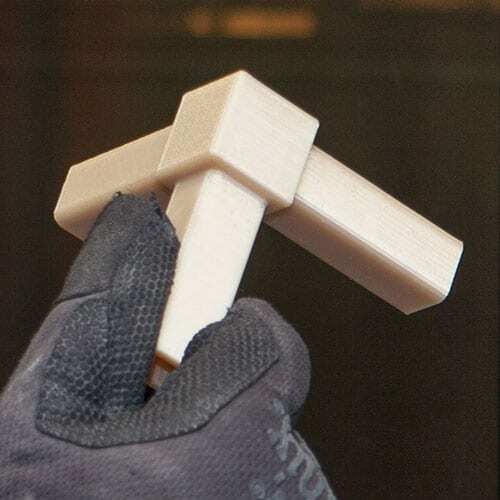 Direct Metal Laser Sintering (DMLS) can create fully dense 3D printed metal parts in a number of alloys. Advantages are reduced weight, simplified assemblies and increased functionalities.